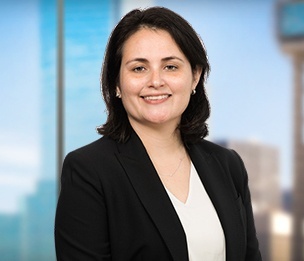 Jane Gerber is an associate in Dykema’s Dallas office. Ms. Gerber focuses her practice on bankruptcy and restructuring matters. Prior to joining Dykema, Ms. Gerber clerked for Chief Judge Barbara J. Houser in the bankruptcy court for the Northern District of Texas and Judge Bill P. Parker in the bankruptcy court for the Eastern District of Texas. Ms. Gerber participated in the Summer Honors Program at the Securities and Exchange Commission’s Division of Investment Management in Washington, D.C. and the Division of Enforcement in Fort Worth, Texas. Additionally, Ms. Gerber interned with Chief Judge Brenda T. Rhoades in the bankruptcy court for the Eastern District of Texas. At Washington University School of Law, Ms. Gerber served as the Managing Editor of the Washington University Global Studies Law Review. Prior to law school, Ms. Gerber was a due diligence professional for a real estate company that formed and operated real estate investment trusts, limited partnerships and tenant-in-common programs. She managed broker-dealer and third-party inquires for seventeen securities offerings comprising more than $11 billion in real estate. Ms. Gerber also held FINRA Licenses 7 and 63 during her tenure with the company.